Medical offices projects have consisted of diagnostic facilities, acute care (emergency services) and general family practice offices. Exam rooms; labs; x-ray room and mammography suites; admin and general offices; doctor offices and file rooms; clean and soiled linen rooms; nurse stations and employee spaces all come together to form new medical offices. 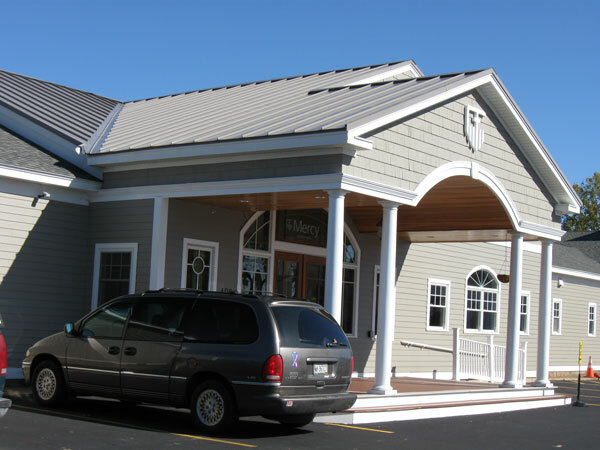 Our two most recent medical office projects can be found in Standish and Windham, Maine. Years of personal experience by Bill consists of multiple small and large projects in hospitals throughout Maine, and even a new MOB for Martins Point Healthcare in Newington, New Hampshire. Hospital work includes work in Southern Maine Medical, Maine Medical Center, and Central Maine Medical Center. New medical related facilities in elder-care facilities include Alzheimer wings, and health-care wings in a number of large multi-use facilities in Boothbay Harbor, Rockland, Portland, Scarborough, and Lewiston to name a few. Another specialty medical use with a number of projects is linear accelerators in Wiscasset, Portland, and Scarborough, Maine.